Arranging GPS Contract Hire with Ridgway Rentals couldn’t be easier or more flexible! 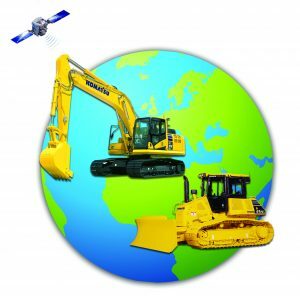 At Ridgway Rentals, we have the very latest technology GPS Dozers and 360° Excavators available to hire all over the UK. The machines come with a fully factory installed 3D Global Navigation Satellite System (GNSS) which includes a cab top GNSS antenna, Stroke sensing hydraulic cylinders, a chassis mounted enhanced inertial measuring unit (IMU+) and a touch screen control monitor inside the cab. Why is Factory Fitted Better? Factory Fitted GPS Intelligent Machine Control is a much more robust solution, add-on components for machine control (like TopCon & Trimble applications) can involve fragile sensors bolted on where they can get damaged plus factory fitted eliminates the daily hassles of installing and removing antennas and cables and the wear associated with it.